This is a classic bag style which Kurt Geiger have made into their own with a selection of sizes and finishes , I particularly love the textured fabric finish on this , giving it a classic look but also making it a little different. This bag will look great with your business attire and equally fabulous with your weekend denim and blazer. 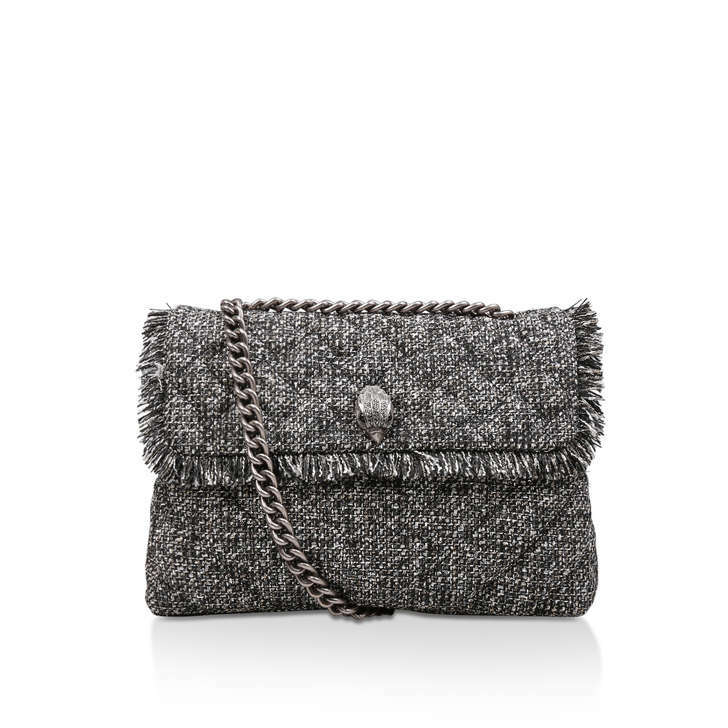 Make every day a little more chic with Kurt Geiger London's contemporary Tweed Lg Kensington X Bag. 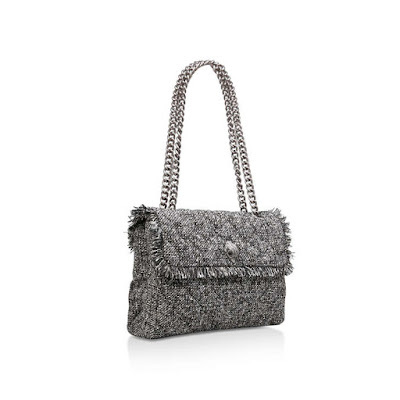 In touchably textured grey, this compact handbag swings from a chain strap in a must-have gunmetal hue.